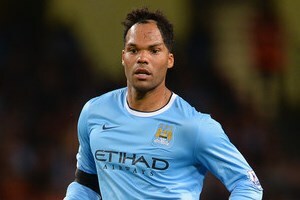 Joleon Lescott is determined to secure a new contract Manchester City. The 32-year old defender’s current deal expires next summer and he is looking to do everything can to ensure he has a future at the Etihad Stadium but is aware that it may not fall his way. The England international said : “I want to stay and be part of the future,”. “But I understand there’s the business side of it and if it’s not to be, I will walk away from the club with my head held high and no regrets.